Millions of men and women struggle with stretch marks after pregnancy or a sudden growth spurt. 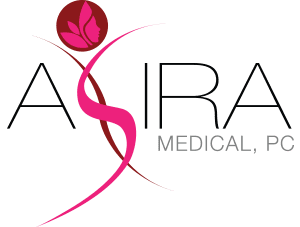 At Asira Medical in Yorktown Heights, New York, Dr. Monica Grover helps patients find effective methods for removing unwanted stretch marks. Dr. Grover offers the most advanced skin care technology to help eliminate pigmentation, marks, and scars. To learn more about cosmetic treatments that can improve the appearance of your skin, call Asira Medical today or book an appointment online. Stretch marks are a form of scarring that develop when your skin stretches rapidly over a short period of time. If your skin is forced to stretch too quickly, certain layers of your skin known as the dermis or epidermis may tear. When these tears heal, they form scar tissue known as stretch marks. Stretch marks are not dangerous or harmful to your health, and they usually aren't a symptom of an underlying health issue. Although they may be uncomfortable or itchy, many people also feel self-conscious about their stretch marks and try to cover them up. You may develop stretch marks due to weight gain or a growth spurt. Children and teenagers often develop stretch marks during puberty. Many adult women also develop stretch marks on their belly, breasts, or hips during pregnancy. Stretch marks can vary in size and shape, but often are uneven or jagged in appearance. Some stretch marks are thin and pale, while others may be larger and may have a reddish or purplish color. Most stretch marks fade over time, but some may not disappear entirely. What treatments are available to remove stretch marks? Many people try to prevent stretch marks with massages or over-the-counter creams, but there is little evidence that these treatments can help avoid or fade stretch marks. These treatments can address issues affecting your skin’s color or texture, as well as fade unwanted blemishes and diminish the appearance of stretch marks. 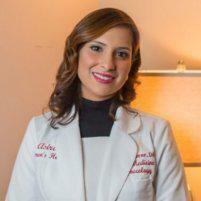 Dr. Grover offers every patient an in-depth consultation and customized treatment plan. During each consultation, she asks about your medical history, skin issues, and skin care goals. She then determines which treatment will best meet your needs. To learn more about skin care treatments that can reduce the appearance of your stretch marks, call Asira Medical today or book an appointment online.